The Preston and District Veterans’ Snooker League’s finale proved to be as popular as ever. That is judging by the support it received from the members who attended Ashton Bowling Club for the final of the ‘The Richard Smith’ Knockout Trophy and league presentation. 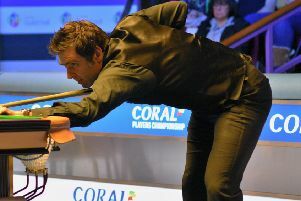 The snooker did not disappoint either and the supporters saw one of the closest finals for many years between the two First Division teams, Elite Snooker A and Fulwood Victoria. They produced some good individual performances and a nail-biting conclusion. With the first four frames shared and Elite trailing by 23 points it was left to Richard Kay of Elite to turn the match in favour of this side by clearing the remaining four colour balls and a winning margin of just 10 points. In the presentations which followed New Longton A picked up the First Division championship trophy for the second year running but, only after winning on head-to-head wins over Bretherton after both teams finished level on points. Brownedge Catholic Club took the honours in the Division One Handicap League. In Division Two, Wilbraham swept the board winning both League and Handicap competitions, and in the process, earning promotion to Division One. In other honours, new comers to the league Lostock Hall Conservative won the Chairman’s Shield in their first season in the competition. Nigel Holmes 0f Elite Snooker won the highest break of the season (69) as well as the merit prize, while Joe Kenyon of Wilbraham was the Seconnd Division merit winner.